XRBIA is a Maharashtra based Real Estate developer focused on Affordable Housing. Team Estrade had the opportunity to speak to Rahul Nahar, Founder, XRBIA Developers Ltd., about the latest in the Real Estate industry, starting from the coming into force of RERA on May 1, 2017, to Affordable Housing segment. Following are the excerpts of the conversation. 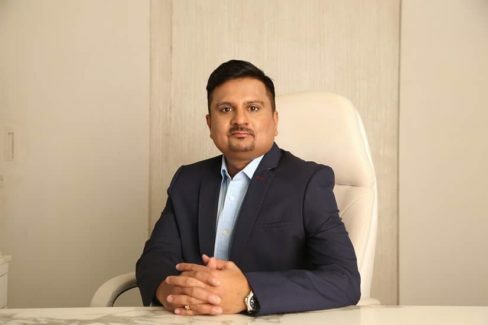 About Rahul Nahar, Founder, XRBIA Developers Ltd: Born in 1975, he is a first-generation entrepreneur. Starting his business career in 1997, Rahul began as a developer of gated communities and over the years built a robust real estate business. He started developing land plots with a strong focus on the Pune market after completing his education from the city. In a span of 20 years, Rahul has 13.4 million sq.ft of development to his credit, a land bank of 2500 acres and a customer base of over 10000 customers. In 2012, Rahul pioneered affordable housing in India in form of a project consisting of 3500 houses on a 120-acre township. His objective with XRBIA is to provide every modern convenience to his customers from wider avenues to the best of infrastructural, educational and healthcare facilities. About XRBIA Developers Ltd: XRBIA understands India’s need for smarter, efficient and sustainable cities which offer a higher quality of life to its people. Superior living experiences being priority, brand XRBIA delivers end-to-end urban infrastructure services to its inhabitants. With a goal and vision of building “100 future ready cities by 2030”, XRBIA is embarking on a new journey that lays the benchmark for quality and modern urban development in the country. The brand is driven by technology in all they do from construction & operations to enabling customers to measure, manage and pay for services that they use. XRBIA matches the global trend of increasing affordability by designing compact homes and offering standard amenities of free car park, community center with swimming pool and commercial complexes. This year alone they built cities across 18 locations in India and launched 40,000 houses spread across Maharashtra. At XRBIA, the aim is not to build only houses, but cities that are environmentally friendly, technologically advanced, committed to education, dedicated to health, and that foster community spirit. Tell us about Xrbia Developers? How you started and built this brand? Xrbia combines compact homes with state-of-the art communal infrastructure to build houses fit for the next generation of homeowners. Using ground-breaking technology across construction, management and operations, Xrbia’s vision is to build “100 future ready cities by 2030”. Xrbia has already achieved a sale & build rate of 2000 houses a month, establishing itself as India’s undisputed affordable housing leader. Xrbia has pan-India presence? You have developed projects in which cities? Xrbia projects are now present in a range of cities across India. Our existing projects are located in Jambhul, Chakan, Ambi, Telagaon, Hinjewadi in Pune, and Neral, Vangani and Chembur in Mumbai. What is the current situation in the Real Estate market of cities where you have been building projects? Both for the buyers and the developers. Across India, unprecedented urbanization, changing living patterns and increasing life expectancy have dramatically increased the demand for housing in recent years. At the same time, majority of housing developers have continued to cater to the demand from a small proportion of buy-to-leave luxury investors. This has led to a situation in which more than 10 million homes lie vacant across India, while slums in city centers continue to expand. The discrepancy between housing demand and supply lies is exacerbating the housing shortage across Indian cities. Fortunately, things are starting to look up as the government has begun to prioritize affordable housing. Granting infrastructure status for the affordable housing sector that makes it easier to construct such developments, for example, represents a step in the right direction. What is the major hurdle for the development of India’s Real Estate industry? What positive steps would you suggest for all stakeholders of the industry? Land acquisition presents a major challenge for real estate development. In Mumbai, one of the most densely populated cities in the world, for example, the city’s buildable area is approximately 200 sq. km. This acute land shortage has led plots to be sold for unprecedented high rates, which has made entry costs discouragingly high for affordable housing developers. The pressing need to ensure the sustainability of India’s urban development requires both public and private actors to play their part. For example, the government can help ease this land squeeze by investing in public transport to make suburbs more accessible for commuters. What are your views on the Real Estate Regulatory Act 2016? The act comes into force from May 1, 2017. What in your view are the major implications for developers and buyers, both in positive and negative terms? The increased transparency and accountability, that will result from this act, promises to benefit both housing developers, as well as home buyers. Above all, the act could help to restore the broken relationship between developers and consumers. For a long time, majority of developers that have been fair to their consumers have been brought down by the actions of a minority, to the extent that the sector has now become synonymous with delays, overpricing and shortchanging. If the act restores consumer trust, the sector could see greater demand flood in as homebuyers invest with greater confidence. Additionally, by boosting the industry’s credibility, the act could attract more sources of investment into the affordable housing sector and further reduce the cost of financing. Indeed, foreign direct investment could surge as a result of this increased transparency. Is the ecosystem in India ripe to fund very large Real Estate and infrastructure projects? What we need to improve in the funding aspects to help build this industry at a fast pace? While demonetisation temporarily threatened funding in the sector, this setback has been somewhat balanced out by infrastructure status granted to affordable housing in the 2017 budget. Granting infrastructure status to affordable housing is significant, as it will both provide cheaper sources of finance to developers and also open up additional avenues for developers to raise funds. Recent reforms in FDI policy and the relaxation of norms in Real Estate Investment Trusts (REITs) are also promising in this regard. The Indian real estate sector is now an attractive option for both Indian and international investors. What do you feel is the future of Sustainable development, Hi-tech and Green Building projects? Are these going to be eventually integrated into one product, say SMART cities for example? Can India, take a lead and give a template of future SMART Cities to the world? As technology improves, it will undoubtedly become more integrated into building design. Consumer interest in sustainable living is also growing, making green buildings is increasingly commercially viable. For SMART cities to really take root in India, architects, technologists and contractors must collaborate. These intra-industry connections should be facilitated and encouraged by public sector initiatives, to allow for such innovation to flourish. Xrbia Developers has products in which all segments of the market? Which product segment is the highest revenue earner for your company? Xrbia operates in the affordable housing sector of the market. Using technology across design, construction and operations, we have created a product that persuasively combines affordability with luxury. Our latest development using this model, Chembur Central, has already seen over 10,000 families visit the project site to see sample apartment, confirming that there is great demand for Xrbia’s model in this market sector. Is affordable housing commercially viable? How Xrbia plans to benefit from government’s flagship programs such as ‘Housing for All by 2022’ and ‘100 Smart Cities’? The government’s effort to build “Housing for All by 2022” has undoubtedly given the affordable housing sector a recent boost. Firstly, the government’s PMAY scheme, which provides a credit linked subsidy to home buyers purchasing residences below 60 sq. m, has significantly reduced the costs of buying a house and expanded the possibility of homeownership to a greater number of families. This has decisively contributed to the growth of this market segment, that is now set to increase by a further 25% in the coming years. In addition to this demand-side incentive, as mentioned above, the granting of infrastructure status has reduced the costs of finance. What are your expectations from the Government, both at the centre and at the state levels, for Real Estate and Infra? Has the government done enough? Addressing India’s affordable housing shortage requires continuous collaboration between the public and private sector, and developments this year have thus far been promising. Firstly, after a long wait, the government finally awarded infrastructure status to the long-neglected sector of affordable housing. By ensuring easier access to institutional credit, this decision has helped to reduce developers’ cost of borrowing for affordable projects, savings that in turn have been passed on to homeowners. Additionally, as mentioned above, the government’s PMAY scheme has decisively contributed to the growth of this market segment. More now needs to be done in terms the availability of land that can be used to construct affordable homes. What is the biggest challenge faced currently by the Real Estate industry? Land acquisition! If the government is serious about its commitment to create “Housing for All by 2022”, it needs to increase the availability of land that can be used to construct affordable homes. At the moment, regulations that restrict the density of housing developments are creating unnecessary barriers for affordable real estate developers. For example, easing density restrictions has been shown to facilitate slum rehabilitation projects that re-house slum dwellers on the same site at no additional cost, by cross-subsidizing the project through the creation of additional market-rate homes on the same site. Easing regulation on density restrictions will increase the potential sites available to affordable housing providers, rather than add to glut of homes that cater for “buy to leave” investors. REIT and FDI, which one of the two will dominate the market for Real Estate and Infra projects over next 2 years? Bank funding for developers to fund projects is set to ease? REIT will take about 4-5 years for the market to get confidence in the structure, whereas FDI is more contemporary and people are familiar with it. Is the Real Estate industry facing a shortage of skilled workforce? The industry doesn’t seem have made a concerted effort in this regard in comparison to other industries, such as wellness, manufacturing, IT, etc. Your comments? Shortage of talent in the construction centre is a long-term problem and will continue to push up project costs and risks if left unaddressed. We need skilled manpower to build the 38 million affordable homes needed to tackle India’s housing shortage. Investment in education and training in this market sector is imperative. With RERA in place in Maharashtra, what do you see the effect on Real Estate prices over the next one year? RERA promises to increase trust in the real estate sector. As this increased confidence translates into increased demand, house prices over the next year will likely rise. What type of projects are getting funding these days? The government’s recent policy initiatives impacting the affordable housing sector, from granting infrastructure status to introducing the RERA act – is creating a promising and transparent business environment. These changes are driving back both consumers and investors to this long-neglected segment of the real estate market. Over the next year, Xrbia is looking forward to opening two important projects. Chembur Central, launched in partnership with Crystal Developers is a 5,000 home development that offers two types of one bedroom apartments of 186 sq. ft. and 247 sq. ft., as well as a two bedroom apartment of 306 sq. ft. In the long-term, Xrbia hopes to affirm, its status as India’s affordable housing leader. We aim to demonstrate that there is profitability in this sector of the market and to bring in a thought process in the industry, whereby all ask the question as to, why aren’t others doing it too. According to you, what are going to be the trends that define the Real Estate of India and Maharashtra (especially MMRDA and Pune), over this one year? The year ahead for real estate in India is promising. The government’s recent policy initiatives have gone a long way towards creating a conducive and transparent environment for attracting both consumers and investors back to the real estate market. Tackling India’s affordable housing shortage may finally get underway in the next twelve months.